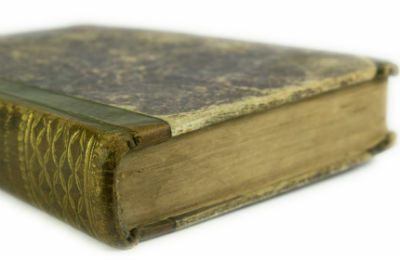 Capture All offers a professional and affordable book scanning service for bound and unbound books, historical books and ledgers. From the thickest of bound reference books to the most fragile newspapers, we have seen it all and achieved consistently outstanding scans. By investing in leading edge equipment and state-of-the-art software we ensure our scanning services continue to lead the industry in Scotland. The wide range of scanning equipment at our disposal ensures that we can scan everything from small delicate diaries, large handwritten ledgers, and scientific notebooks to name a few. Our Bookeye 3 Book Scanner, is designed specifically for scanning books without needing to remove bindings or fixings. This ensures your books are kept in the best condition possible. We offer a specialised digitisation service for older media. We afford great care and attention and produce exceptional results from the most fragile of books. After scanning, the original materials are returned to you and the digital files are backed-up and delivered securely. Our staff draw on a wealth of experience to determine the safest, most suitable scanning solution for your media. From the moment we collect your books or documents, and throughout the scanning process, our staff are available for advice. We believe it is essential to make our knowledge, expertise and experience something that you can always rely upon. Call Shaun today on 01324 670353 for a free consultation.